Two new cold process mosaic soaps in several different designs. Love the creativity that is involved in creating these types of handcrafted soap. 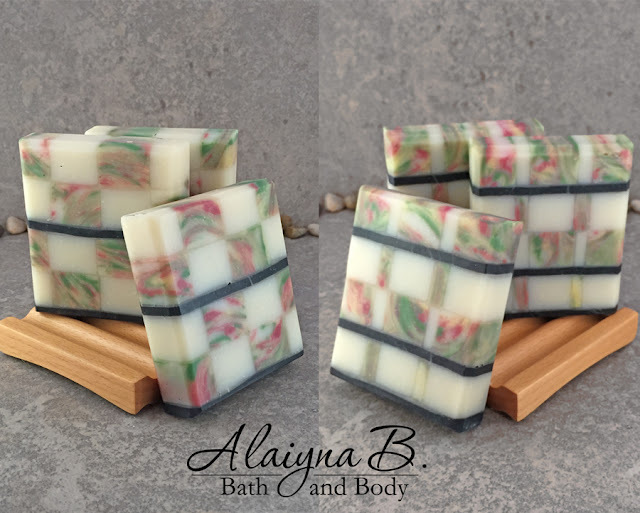 This technique allows me to create unique, nourishing and beautiful soaps that are still in a usable shape for sink, shower or bath. 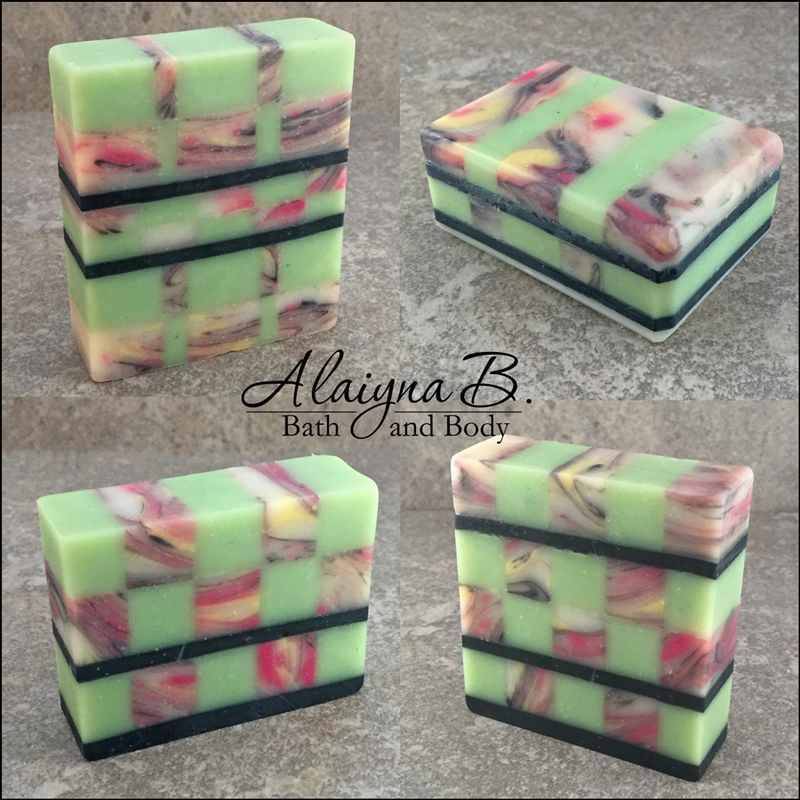 Scented in Apple, Pear and Champagne with swirls of green, yellow and red blocks alternating with the natural ivory and black blocks and layers. Scented in a very pretty, soft and feminine Lotus Blossom fragrance. The swirls of yellow, pink black and ivory nestled amongst the green and black. Four different designs were created from separate batches of green, swirled and black soap.